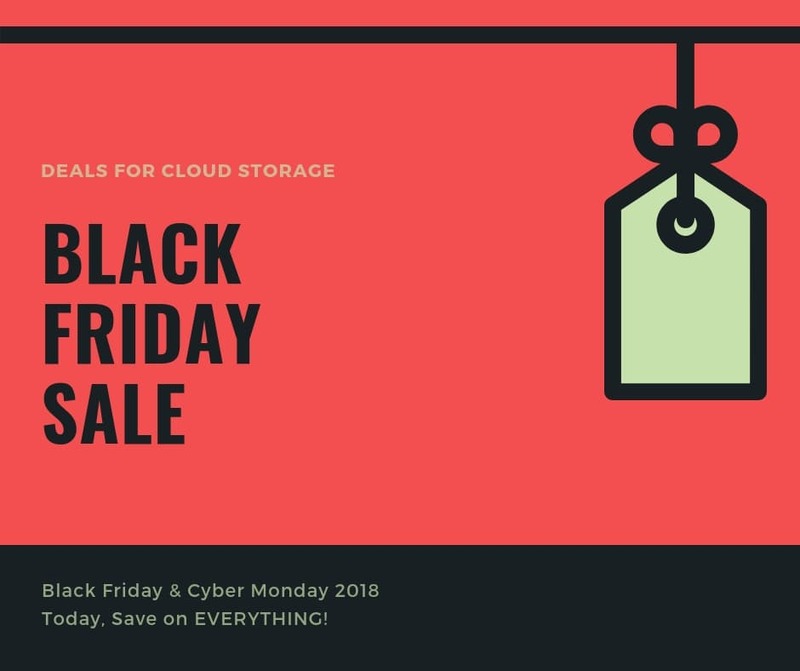 Black Friday Cloud Storage Deals 2018 - Get HUGE Discount Now! Black Friday and Cyber Monday is around the corner again this year in 2018. Starting from 23rd November this year and usually it will last until the end of November. It was the time again when everything went on SALES and merchant clearing their stocks for the upcoming holidays. While Cloud Storage or Online Backup services are not physical product, and do not require to clear stocks. But if you can grab some discount while riding on the sales by the service provider, we believe it’s a good deal too. Great saving tip A dollar saved is better than a dollar earned! * The Cyber Monday deal is valid up to 28/11. * Black Friday deal had ended. * The lists above will be updated accordingly when more deals are coming up.